I got my 17 Terminator (17-204 Ruger) back from Scott yesterday. 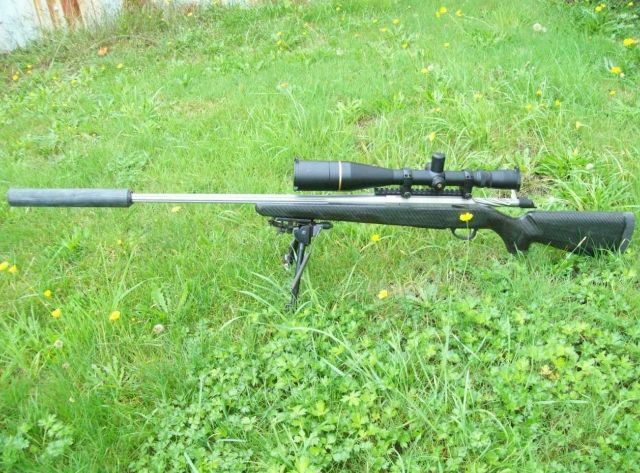 It has a True-Flite UM barrel, Tikka T3 action, Stug stock, little Sonic .224 suppressor. I'm very happy with how it has come together. Initial testing has shown it has plenty of grunt, it will happily push the 25 grain Vmax at 4300 fps. 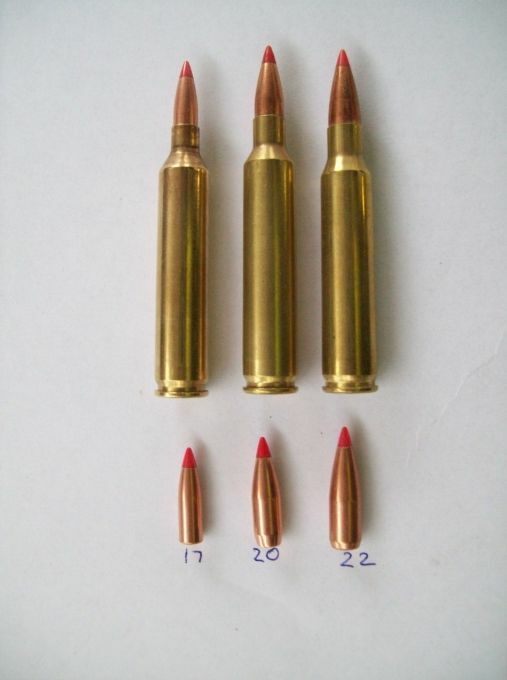 Here it is next the 40gr Vmax 204 & the 53 Vmax 223. Unfortunately the weather has been mud this weekend, 20-30 mph winds don't help, so I haven't finished load development for accuracy & final velocity. Last edited by 7mmsaum; 13-04-2014 at 07:23 PM. veitnamcam, 338, mikee and 2 others like this. Thats one cool little round. Keen to see some results. 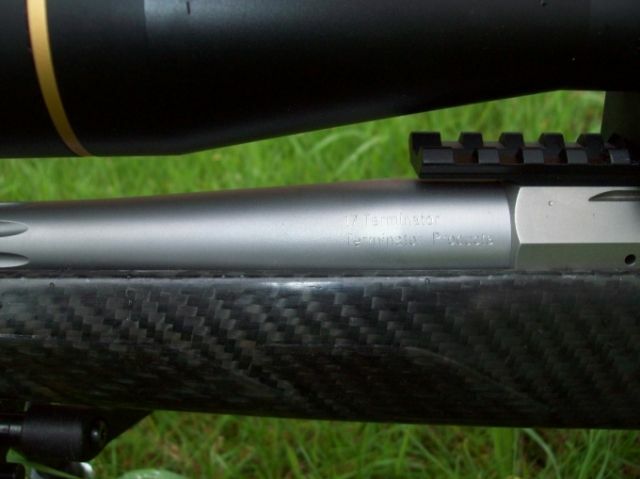 Certainly something that concerned me a little so it will be running on a ball powder, apparently they are easier on barrels ??? 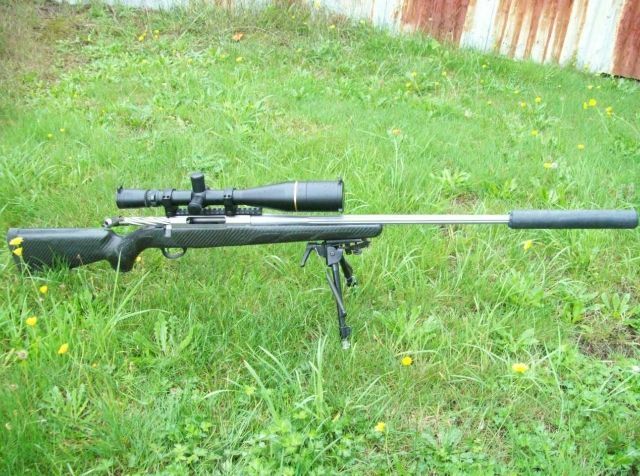 This makes the 204 Ruger seem pretty average. A quick calc suggests its slightly better than a factory 32vmax 204 for drop and drift (and catches up for energy at about 600 if that matters), and marginally better than the factory 40vmax for drop but a similar amount worse for drift (and way behind for energy). I'm sure its fun though! Have had my comment edited. Last edited by Kiwi Greg; 13-04-2014 at 07:25 PM. 338 and GravelBen like this. All good! Its not like being similar to a 204 is a bad thing when it comes to exploding cute fluffy little pests. any kills for this yet? when you do take your camera. Took the 6.5 Wsm & the 17 Terminator for a walk last night. Weather was pretty good considering, nothing much out & about though. 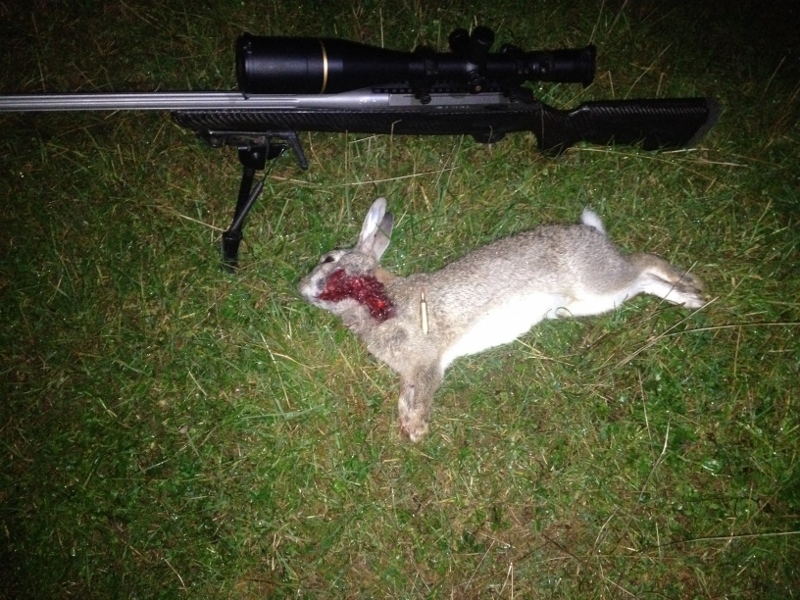 Managed to fire a couple of shots, this one was approx 150 away. Very nice but I am not sure where you went cause the evening dog walking was a very wet event! !